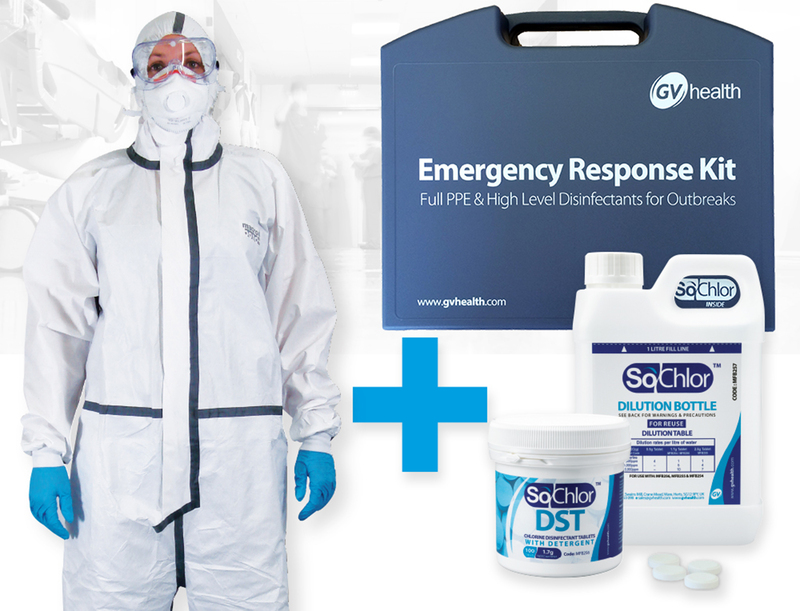 All-in-one personal protection, containment and disinfection kits suitable for emergency use during highly infectious healthcare related outbreaks or pandemics. Includes Personal Protective Equipment (PPE) plus chlorine based disinfectant cleaning solution in a portable, lightweight kit. Additional PPE packs are available separately. For use by medical, nursing, laboratory and other domestic and care staff required to work directly in locations with infectious diseases including SARS, Ebola, Swine Flu and Avian Influenza (Bird Flu). Suitable for first response / rapid reaction teams and in locations such as clinics and transportation hubs.